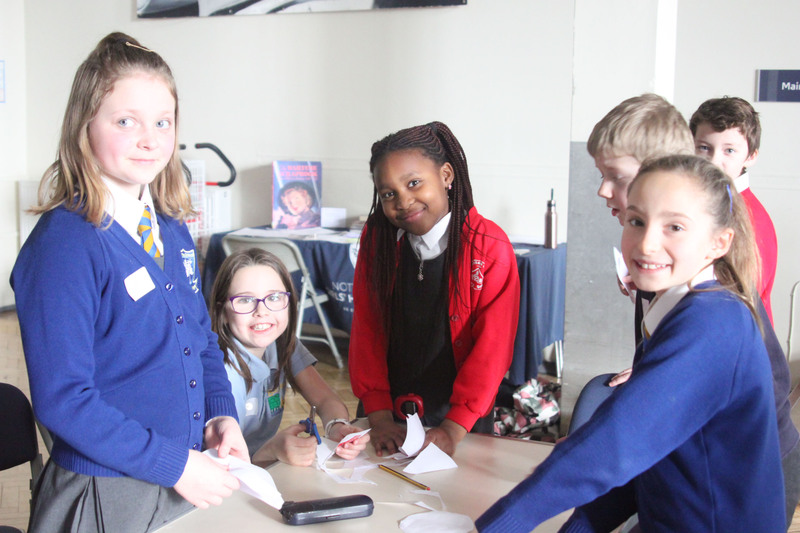 We had 70 children from 12 local primary schools join us for our first Key Skills Reading, Writing and Speaking event. The day was open to children of all abilities with the aim to develop communication; encourage group discussion and team work; as well as promote listening and sharing. Following some ice breaker activities, children were put into mixed teams for a Trading Game. Each new team had to use resources provided to create as many neatly cut-out shapes as possible that could be handed in for cash to the Banker. Some teams struggled understanding how to complete the task without the necessary resources, whilst others quickly identified how to gain resources through trading – exchanging highly sought after equipment for a nice little profit. Some teams set high costs for scissors and plain paper, whilst others gave their resources away as aid. However, it was the banker’s final say when it came to cashing in – and shortcuts were spotted. Although some teams had piles and piles of triangles, squares, circles and rectangles – shapes that were not presented 100% lost value. Teams soon realised it wasn’t quantity that mattered, but quality. In the afternoon, children came back into their school teams and worked on a short speech about why they thought their school was amazing. 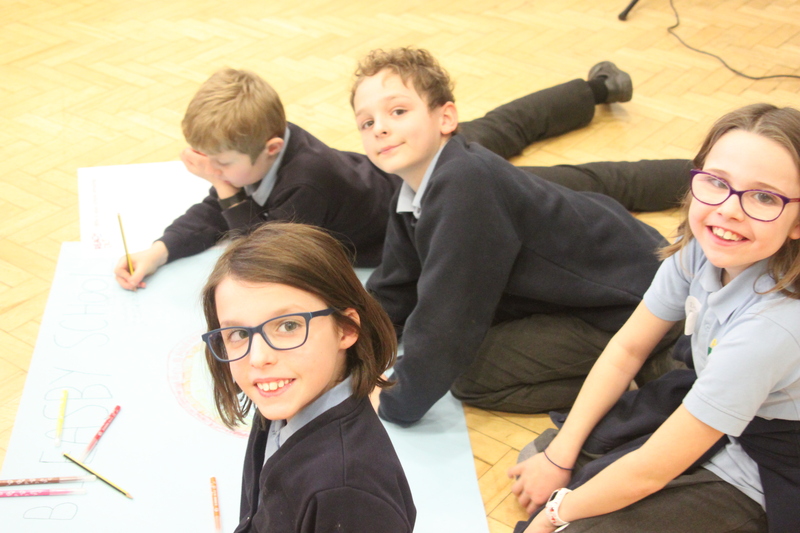 After a short time preparing posters and practicing speaking, each school presented their values, their extra-curricular activities, their school pets, their teachers, their school lunches and other facts about their schools and why they were special. This was a lovely activity where each school listened to one another, asked questions and shared fun stories. We really enjoyed hearing about your lovely schools and cannot wait to join some of you on the Table of Awesomeness, School Radio and PGL residential. A full gallery of photographs can be viewed on our Facebook page here.